Madrid, as the capital of Spain is the perfect spot for a true and complete Spanish experience. With its central location, right in the heart of the Iberian Peninsula, Madrid is the ideal base for exploring Spain as well as the country’s cultural and political centre. This passionate city has music in its soul and culture in its arteries. Madrid is a super exciting European capital and open to visitors from all over the world who converge on its picturesque squares. Whether it is business or pleasure that brings you to this royal city, the best way to explore Madrid and the surrounding villages and towns, is in a quality vehicle, giving you flexibility and eliminating any chance of disruption to your trip. Hire a luxury vehicle and conquer all of Madrid at your own pace in utmost comfort. Enjoy the hustle and bustle of the inner city or step outside for a relaxing and calming countryside. Hire a Maseratti or a Ferrari Spider and travel at your own speed exploring distances as remote as your imagination takes you. Restore your energy at many of the quaint cafes, especially open air cafes, by sampling the exquisite delicacies at tapas bar, snack on paella drowning it with the famous Spanish Rioja (red wine). This big European city offers something for everyone, from sightseeing, art galleries, upscale shops, authentic markets, tapas bars, fine dining. The Spanish capital is well known for its beautiful architecture, food and nightlife, proudly contending any other city in the world with the sheer number of bars. There are also plenty of international, refined restaurants with Michelin stars across the city. However, watching football is a favourite thing anyone coming to Madrid likes to do. Locals are always passionate about their football so watching Real Madrid play in the Santiago Bernabeu Stadium and Atletico Madrid play in the Vicente Calderon Stadium is one world class experience. Make it memorable, rent a luxury car and get there in a Mercedes-Benz SLS AMG and an absolutely electrifying atmosphere at the football is guaranteed. 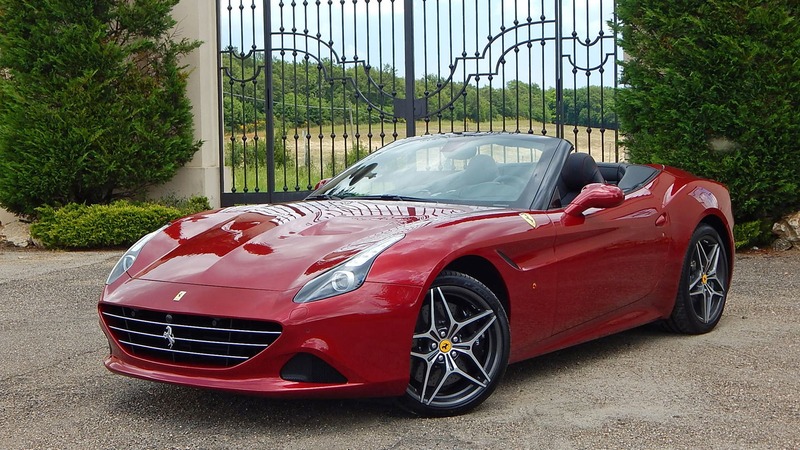 However, no trip to Spain would be complete without sports or luxury car rental Madrid options at hand driving out of the capital city and into the beautiful countryside. Consider driving out to one of the country’s famous wine regions. Spain is one of the biggest wine producing countries and offers a huge range of handcrafted wines across the numerous quaint villages, while along the way there’s plenty of history and culture wherever you turn. We recommend renting a luxury vehicle such as a Mercedes-Benz SLK 350 offering plenty of horsepower and prestige or for a perfect SUV step into a Range Rover Vogue. Those who are fascinated with history and want to explore archaeological treasures, rich Moorish and Renaissance architecture stands in the Andalucia region waiting to be discovered. The driving regulations across Madrid and Spain are similar to those in other European countries. Driving is done on the right and the minimum age for driving a car in Spain is 18 years. Visitors to Spain should also note that use of mobile phones while driving is highly prohibited. Book our luxury car rental Madrid feature and visit the Plaza Mayor and San Miguel Market built in the 16th century, this beautiful enclosed city square is located in the centre of Madrid and is one of the prettiest city squares. The square is packed with restaurants and cafes, while the market is an indoor market and one of the most famous. Locals and tourists love the Madrid squares and another famous one is Puerta del Sol. Madrid’s most beautiful building is the Royal Palace of Madrid. It is also the largest royal palace in Western Europe, while the city’s largest church is located just across the Plaza de la Armeria square. Adorned with a continental climate, Madrid is most lovely in autumn and spring and during this period maximize your stay by hiring a perfect luxury vehicle that lets you get around in the highest degree of comfort, windows and roof down or up, if you are thinking a super brand like a Lamborghini Murcielago, we are on the same page. This unique vehicle boasts exquisite design and is sure to enhance the memories of your trip to Madrid. When in this fairytale city, travel from one attraction to another in a car that’s that is an attraction itself, such as the Bugatti Veyron – one of the finest examples of luxury in a sports car.